Manufacturing excellence and quality is our legacy. Now, SSI SCHAEFER has over 70 office locations worldwide with 10 manufacturing facilities around the globe. At SSI SCHAEFER, our manufacturing locations are within close proximity to our customers. While the very first product of SSI SCHAEFER was made in our founder’s home, our new manufacturing facilities are state-of-the-art. SSI SCHAEFER is a true innovator and has been since 1937, when our first transport containers were made by Fritz-Schaefer. Since those early days of development, SSI SCHAEFER continues with our promise to deliver top quality products that address and solve market difficulties. With entrepreneurial spirit, SSI SCHAEFER works with clients to address market needs. Our team of packaging engineers are encouraged to push limits and buck industry norms. SSI SCHAEFER embraces this spirit in order to bring the most innovative packaging systems to market. While some inventions add small but innovative features to standard products, other SSI SCHAEFER creativity completely brings new vision to the industry. We sincerely invite you to speak with us and learn how we can put our innovation to work for you. 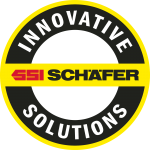 SSI SCHAEFER has a diverse range of injection molding equipment and fabrication capabilities. 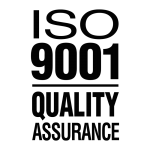 With our ISO-9001 certification, quality is foremost in everything SSI SCHAEFER produces. Standard testing protocol ensures that each container, bulk bin, pallet, and custom dunnage piece meets or exceeds expectations. SSI SCHAEFER quality packaging experts work closely with manufacturing to inspect and test products under an array of conditions. 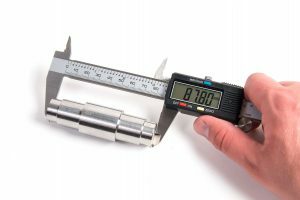 Each product undergoes a static compression load test to determine its bearing capacity. Containers are stacked and compressed per industry testing standards. SSI SCHAEFER also conducts this testing at a variety of temperature ranges to ensure product performance in cold and heated applications. SSI SCHAEFER simulates both sea and road transport to determine how products perform during delivery. Under temperature-controlled applications, product is loaded, stacked, and then subjected to vibration tests that duplicate road and wave frequency profiles. SSI SCHAEFER products are exposed to a variety of bottom support and loading conditions in real world applications. Test variables include: loading evenly dispersed or concentrated, extreme temperatures, edge-racked, beam, grid or shelf supported bottoms, durations from two weeks to over a year. Protecting electronic components from random electric discharge is of utmost importance and SSI SCHAEFER provides this protection with ESD material, which gives a controlled method of dissipating any built-up charge. The SSI SCHAEFER ESD container and SCHAEFGUARD™ dunnage line is the leading electronic component container system for a reason. Each product is tested for surface resistivity to ensure compliance with customer requirements. HDPE product is submerged in a temperature controlled alkaline bath for specified time periods. This test provides visual evidence of any internal stresses imparted by tthe manufacturing process. SSI SCHAEFER conducts a variety of industry standard and internally generated impact drop tests on all of its products. Products are dropped from a variety of heights at varying temperatures onto varying surfaces and profiles. This testing is desgned to subject the product to real-world impact conditions and abuse. Product is loaded, configured and placed in a heated environment for specified time periods to determine possible real-world deformation.